Scholars still debate over the fact if the performance of Umrah (at-least once in a lifetime) is compulsory on Muslims or not. Allah knows the best. 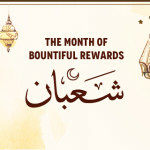 Similarly, performing Umrah during the month of Ramadan is a Sunnah and not an obligation on Muslims. But, if one gets a chance to perform it during Hajj, he/she should avail the opportunity. The fact that thousands of Muslims visit Makkah every year in Ramadam to perform Umrah is overwhelming. But, there are a couple of things that have to be considered, so that one can get the best out of this spiritual journey. Some individuals pay no heed to their families and go for Umrah in Ramadan. This is a genuine issue, on the grounds that the favored month of Ramadan is a period for individuals to show more concern for their families. The worst part is that in some cases parents neglect their children during this month. Before leaving for Umrah in Ramadan, make sure that your family and specially kids are taken care of. Another mistake which parents make while performing Umrah during Ramadan is taking their children along with them to Makkah. In such cases it becomes difficult for the parents to keep an eye on their children and to handle them properly. It has been seen that during Umrah in Ramadan, parents leave their kids in the hotel and prefer spending time in the mosque alone. This is a genuine concern. Kids who are left alone (although guarded) in a peculiar environment can undoubtedly get into trouble easily. 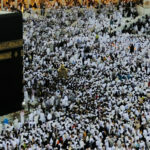 Most of the children behave badly in Makkah, especially during Ramadan because they are too young to understand the significance of the pilgrim. They see this journey as their holiday. Additionally, because of the fact that they are left unattended, they behave as they want to and do whatever they feel like. On the contrary, this journey can turn out to be an amazing experience for the kids as well if the parents watch over them properly and try to make them understand the importance of the holy month and the importance of performing Umrah during Ramadan. Make them interested in the pilgrimage by telling them real life stories about Umrah, Makkah and Madinah and keep them a part of all the rituals. Performing Umrah in Ramadan most certainly will help Muslims bag additional rewards from Allah almighty, but remember, one might also get penalized for ignoring the responsibilities.